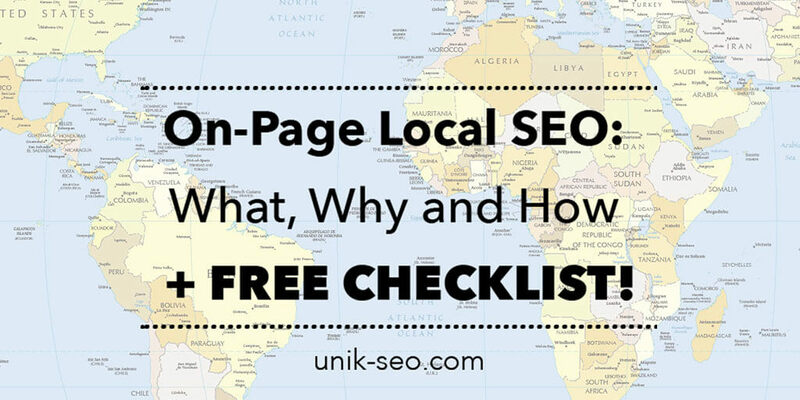 On-Page Local SEO: What, Why and How + FREE CHECKLIST! Whether you run a professional business or an amateur blog, you want to be seen first. If not, your content won’t reach your desired target and thats just a waste of time. 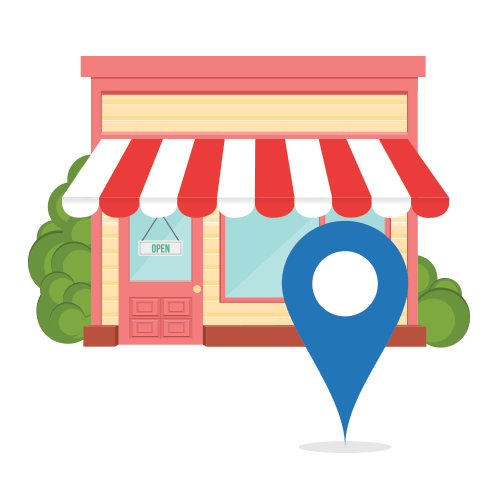 Local SEO helps you understand how to better optimize your page locally and assure the search engines deliver your site first. So, what is an On-Page Optimization? We call “On-page Optimization” (or On-Page SEO) the practices, techniques and processes of optimizing one or more pages in order to make it easier for Search Engines to crawl and index your pages. Now here is why this is vital for your website and business in general: you don’t create content just because. You create it for a reason. You do have an intention, a purpose or a mission when you create a piece of content and publish it on the Internet. Of course, you want to reach someone. But how does your “someone” find your content on the overwhelming sea of information that exists on the web? How does your content best serve your public searches among your competitors? Mainly, who (or what) will deliver your content for your target? You guessed it – the search engines. That is the reason why you should optimize your content for search engines (Google, Bing, Yahoo), otherwise you are not going to reach those desired customers – and they might be craving your services. How does LOCAL SEO differentiate from regular SEO? Local SEO covers various techniques to not only optimize your content or website for search engines, but to optimize it targeting a specific location, so that your site will be addressed for search queries from users in your business’ area. Let’s say you run an Italian restaurant on your city and want to improve your website to attract more visitors and get more brand awareness. You don’t want to use the exact same keywords to compete with restaurants from distant areas of your country or even from other countries just because both of you sell pasta. You will not benefit from showing off your website for search queries of users in other countries, as they are much less likely to come to your physical address and converting into real customers. You want to appear in the search results of your local neighborhood. You can target your website with Local SEO, which focus on your specific location (or locations, if you attend to more than one place in your area). That will expand your opportunities and probabilities of converting your visitors and improve your brand awareness at the right place. Content is king, but is publishing local-focused content enough? Creating and publishing a piece of content, even when it’s local-focused, is not enough. Actually, it is just the first step – it’s the very beginning of your journey. Local content is for your public what local on-page optimization is for search engines. If you create content but don’t provide further signs on your pages that show search engines your website is relevant to the public of that specific location, you are sabotaging your content efforts. It’s worthless having great content with rich information for your local audience if the search engines can’t find whether your website is local or not. It will be confusing: are you trying to compete nationally? Should you rank for the same keywords as Wikipedia, for example? You must prove clearly that your website is a local authority with great local content and that’s why you should get higher rankings for local searches. There is no rule book for SEO. Google algorithms are always changing to better address the user’s need. This is not a bad thing if you keep yourself updated on what’s happening in the SEO world. Actually, Google’s recent updates to its crawl algorithms are getting more and more local. And this makes On-page Local SEO even more crucial to your business, as Google is offering you the chance to stand out for local queries and beat big national/global brands. As CWS stated, Local SEO is more important than ever! Name, address and phone number should be visible on your website and they must be the same NAP you inform on other pages or websites you have (for example: Google My Business, Facebook, Instagram, business listings). Bonus tip: you may want to add a map with directions, telling your audience how to get to your place. This will give you the chance to provide further information for search engines while delivering relevant content for your audience. Include your area/location in important Meta titles, descriptions and the first 100 words of the article. Add modifiers like “Top 10”, “Best” and “Review” to create long tail versions of your target keyword. Promote and organize events and offers in your area/location through your website to generate local press interest and drive traffic to your website. Engage with your local audience, creating content that serves your target. It should be better that what the user can find from another competitor of yours. You can also create actionable content through images, video, diagrams and internal links to increase time on site and reduce bounce rate. Bonus tip: break your text in short sentences when writing and insert images to “break” paragraphs into sessions. If your content is always the same, with huge blocks of text and nothing to relieve this visual distress, it may be discouraging for your audience. Consequently, it will give you a higher bounce rate and reduce the time your users spend on your site, which means less opportunities for converting your visitors into costumers. Social sharing are important factors for SEO and it really impacts your rankings. They show how your audience is engaging with and reacting to the information you give to them. After all, you are creating content for them and if they are not responding, you are probably doing it wrong. Create a social media community in your local area and engage often, offering solutions and/or entertainment. Being present in your local community online helps your promote content and attract customers. A study by BrightEdge says that prominent social sharing buttons can increase social sharing by 700%. Each social share puts your website in front of other people’s audience. It is like getting promoted for free! Start using them! In general SEO speaking, “length is strength”. Longer contents rank significantly higher in Google, so aim for at least 1500 words when targeting competitive keywords. Your content should also contain references and outbound links to other relevant businesses or places in your area, since it boosts your page’s rank in Google. Show your team on your website, highlighting their expertise, experience and don’t be afraid to go more personal or emotional. You can also link both to and from their LinkedIn and Google+ profiles, increasing your local reference. Remember: people don’t want to do business with unknown enterprises. People want to do business with people. People love stories. Having an “About us” page or an “Our Story” page on which you tell your business story, your goals and mission statement is a great way to connect with your audience and show that you are truly speaking to them rather than just trying to get publicized. In addition, it also makes your website and business more real and less abstract, as online business often may look like. Don’t forget to mention your location. Now, it’s time to rock your Local SEO strategy! Thanks Dean 🙂 always a pleasure to share!